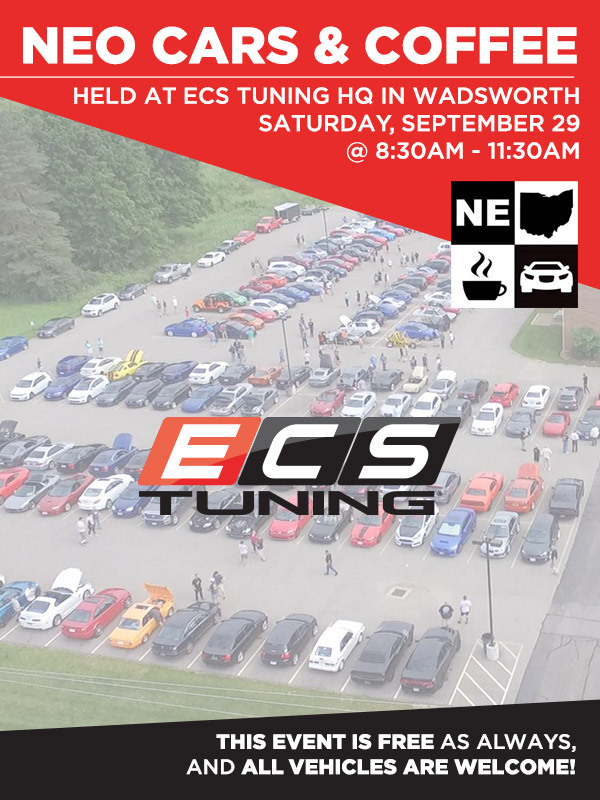 We're hosting NEO Cars and Coffee here at ECS Tuning on Sept 29, 2018 from 8:30am until 11:30am. Come hang out and check out the cars, and our R&D facility. In addition to Cars and Coffee normal activities (standing around chatting about cars, sipping on coffee, etc) we'll have an ECS Garage Sale going on with tons and tons of discounted wheels and other parts. All times are GMT. The time now is 01:03:12 PM.